Just over a year ago, we joined the Bethnal Green Ventures (BGV) accelerator programme. BGV is a tech for good investor that focuses on early stage businesses like ours. The programme taught us all things business, and we were introduced to countless socially motivated companies who all happily gave advice and pointed us in the direction of relevant resources and people. Those companies — like Andiamo, The Hard Yard, and Chatterbox — continue to inspire us and prove that social impact and business can go hand in hand. Enter Ikigai, the Japanese concept of finding your reason for being. Now, we don’t want to cram your already balgom and hygge-filled lifestyles with more fancy buzzwords, but this idea is actually relevant for many early stage entrepreneurs. And wanting to carry on in the spirit of passing on useful findings, here’s one. The diagram helps you to measure what you love, what you’re good at, what the world needs and what you can be paid for. The spot in the middle is known as Ikigai. We find it helpful for plotting out opportunities, for clarification, and to justify decisions. Of course, the dream is for everything to be perfectly central in Ikigai — which is undeniably harder in reality. A business needs to be sustainable. When your new business is built on technology with wide applicability, you’re presented with a range of options for taking it forward. In the early days, you might have an idea/early prototype/mvp which will require further development, investment and finding the product market fit. You may find that your solution can also be applied to different markets and have different uses. This has been very true for us. 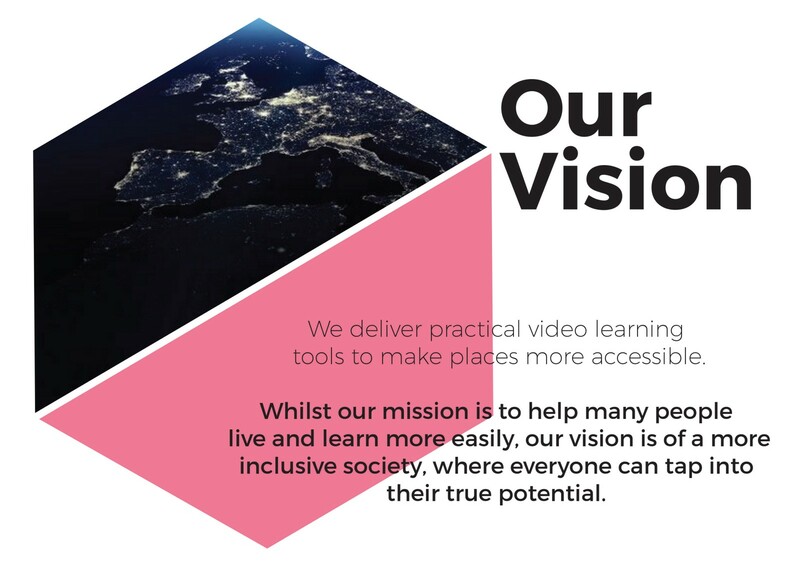 We have explored lots of different potential use cases for How Do I?, and some of these certainly felt more aligned to our ethos than others. Some opportunities that come across your desk are more lucrative than others, and trying to examine the opportunity in light of your team’s mission & vision can be a complex task. How many people can we impact? Who will benefit the most initially? Who will benefit over time? What could the opportunity grow to be? Profit and financial success aren’t bad when they’re built on ethical and sustainable business practices. But for social entrepreneurs who are used to emphasizing impact over profit, taking on financially lucrative work can feel like a dark devilish exercise in chasing the money. On the flip side, in the words of Ingvar Kamprad, founder of IKEA, profit gives us resources — and resources are what allow us to continue on with our work. It’s not only possible to make money doing what you love in the way that you want to do it — but for social entrepreneurs, it’s necessary. Meeting with Hampus Jakobsson when we took part in the IKEA Bootcamp was hugely insightful. He told us that when considering opportunities to question our passion levels and to stay true to our beliefs. It was a simple spider diagram. You took each potential business model and rated it out of 5 as it related to areas like your strengths as a team, the fit of your solution and your unfair advantage. Most importantly, you rated your passion levels for that particular project. If your passion level dropped below a 4, nothing else on the chart mattered — it was out. Every other model was assessed on its score. We loved the idea. It has certainly helped us maintain our focus and made us more accountable in decision making — and our earliest introduction to the concept behind Ikigai. Starting up a business is impossible without passion. 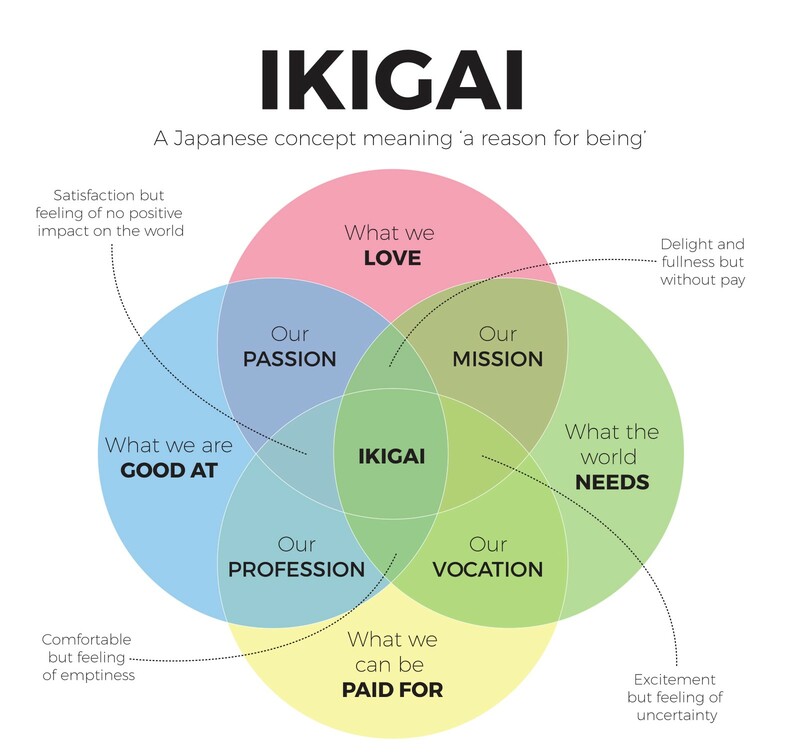 Have you used the Ikigai model to clarify your business model and aims? We’d love to hear from you. Get in touch through our social media channels Twitter, Facebook and Instagram.